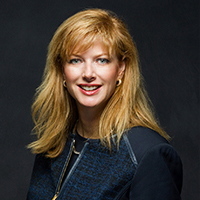 Renée K. Gucciardo began her career by graduating from Michigan State University in 1989 and from the Thomas M. Cooley School of Law in 1992. After working with the Jackson County Prosecutor from 1991 to 1993, she then became an Assistant Oakland County Prosecutor from 1993 to 1998. During that time she acted as an instructor for both the Oakland Police Academy, teaching cadets criminal law and controlled substance procedure, and for the Michigan Prosecuting Attorney’s Association, where she taught courtroom procedure, evidentiary law, and how to try a case. In 1999, Renée made her next move and entered private practice, where she has built a reputation as a zealous and aggressive advocate for her clients. She opened her own firm in 2001 which was limited exclusively to the practice of family law. Renée holds a Certificate of Completion in the Family Law Section of the State Bar of Michigan issued by the Institute of Continuing Legal Education in November of 2011. She has the legal experience necessary to protect your best interests as you find the best solution for your family difficulties, as well as the litigation experience to protect you in court. Renée is professionally affiliated with the Michigan State Bar Association, The MBA Family Law Section, The Oakland County Bar Association and the Institute for Continuing Legal Education. In 2014 Renée was awarded the prestigious Super Lawyer designation by both Hour Detroit and Super Lawyers as well as a listing in the Marquise Who’s Who list. Renée leads a team of legal professionals who are dedicated to resolving family conflicts as amicably as possible. What makes the business special is the fact that she takes each client and treats them as an individual. Every client receives specific attention towards their matter, which is what sets the firm apart from others. Renée continues to strive towards growing her firm, in order to better help her clients.